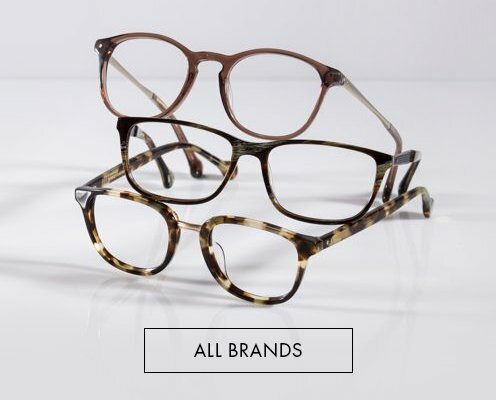 Glasses Gallery offers high quality single vision lenses for many glasses from many brands for FREE. When you purchase a pair of glasses, you want the lenses to be designed to improve your vision, not hinder it. They should protect your eyes, reduce eye strain and help you see more clearly. This is best achieved through high-grade lenses and special coatings. 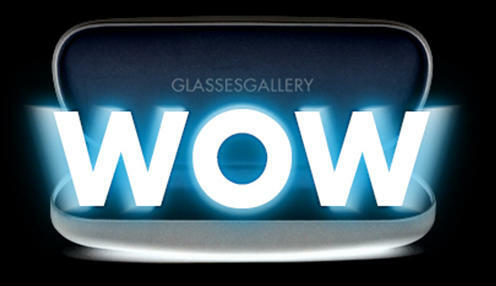 Glasses Gallery offers high quality single vision lenses for glasses from most brands for FREE. Theses lenses offer UV protection and resist daily impact. They are also lightweight, scratch resistant, and easy to clean. Thin lenses: These lenses offer not only thin and lightweight comfort, but also style that meets your aesthetics. Impact resistant: offers you the desired safety for your active daily life. Anti-reflective coating: improves vision, reduces eye strain and makes your eyeglasses look more attractive. The coating virtually eliminates reflections from the front and back surfaces of your eyeglass. Scratch-resistant coating: minimize scratches on the lens surface and extend the life of the lenses. Kids' lenses, especially, benefit from a scratch-resistant hard coat for greater durability. 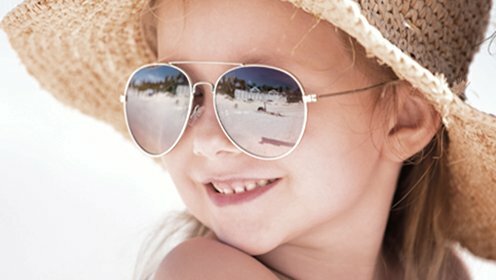 UV Block: UVA/B protection to safeguard your eyes from harmful UV rays. Hydrophobic coating: Lenses are suitable for daily use with our premium super hydrophobic coating, the lenses will be less likely to get dirty or retain your fingerprints. 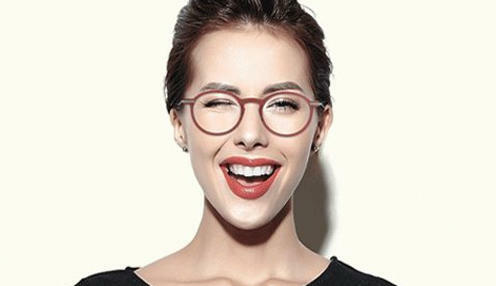 Many other eyewear stores will charge separately for all the above these valuable features, but Glasses Gallery includes these on every qualified pair for FREE. To us, these are the necessities but not add-ons that should cost extra. Note: Glasses Gallery reserves the discretion to provide the appropriate thickness for the provided prescription. If your prescription requires significant correction, we offer the option of high index lenses for an additional fee. You may be contacted should an upgrade is deemed appropriate. This offer is only applicable to power range between +4.00 and -4.00. If you have a strong prescription that is not between -4.00 and +4.00, you may want to opt for higher index lenses in 1.61 Thin Fit for an additional $40, or 1.67 Comfort Fit for an additional $80, or the 1.74 Optimal Fit for an additional $135. 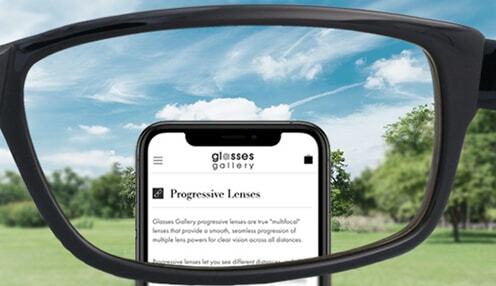 Glasses Gallery reserves the right to decline offering the FREE LENS PROMOTION where, in its opinion, the transaction is invalid. For our return and exchange policy, please refer to our Terms and conditions. Select and buy eyeglasses with this label, we'll include a pair of comfortable and high visual clarity progressive lenses. Hundreds of glasses frames for men and women are included in this progressive lens promotion! Your customized Progressive lenses feature the thinnest possible index with premium anti-reflective, anti-scratch, impact-resistant, UV protection, and easy-to-clean coatings without having to pay extra. With all these lens options, now's the time to find a new style. This promotion is limited, so choose new designer frames while lenses are FREE! This offer is only applicable to products marked with label. This offer is only applicable to power range of greater than +4.00 or less than -4.00. If you have a strong prescription that is not between -4.00 and +4.00, you may want to opt for higher index lenses in 1.61 Thin Fit for an additional $40, or 1.67 Comfort Fit for an additional $80, or the 1.74 Optimal Fit for an additional $135. For returns and exchange, please refer to our Terms and conditions. Our customized Transitions lenses feature the thinnest possible index with premium anti-reflective, anti-scratch, impact-resistant, UV protection, and easy-to-clean coatings without having to pay extra. This offer is only applicable to power range of greater than +4.00 or less than -4.00. If you have a strong prescription that is not between -4.00 and +4.00, you may want to opt for higher index lenses in 1.61 Thin Fit for an additional $40, or 1.67 Comfort Fit for an additional $60, or the 1.74 Optimal Fit for an additional $100.